3204-VLZ3, FireWire/USB/mLan Mixer from Mackie in the VLZ3 series. 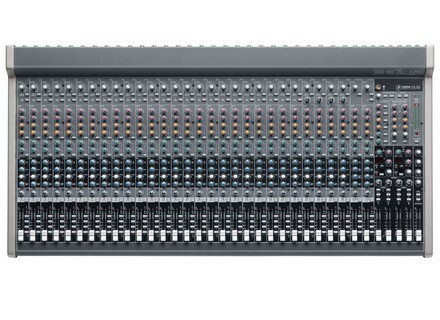 Mackie announced two new mid-format analog consoles, each featuring dual internal FX processors, dedicated compression and 4-track recording via USB – the 24-channel 2404-VLZ3 and 32-channel 3204-VLZ3. 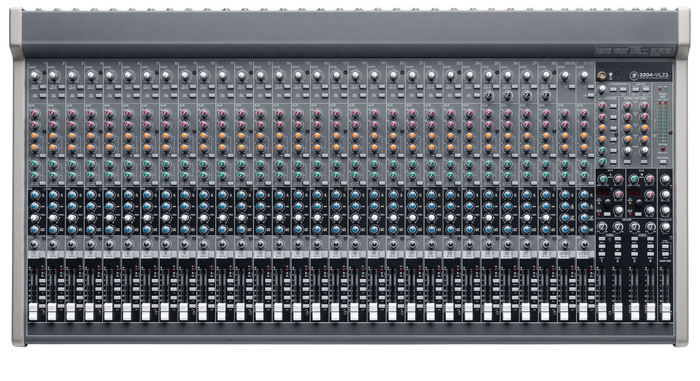 The Mackie 2404-VLZ3 and 3204-VLZ3 feature XDR2 mic channels (20 and 28, respectively) and two dedicated channels for stereo inputs. Inline compression is available on each of the four subgroups and on four select channels. Dual 32-bit RMFX effects processors offer 16 presets, including tap delay. The integrated 4x2 USB interface offers multiple routing options to a DAW, with a stereo return that’s assignable to the mains for background music or into a channel strip for mix integration. VLZ3 4-Bus mixers are designed for often cramped FOH areas or portable applications. The Mackie VLZ3 4-Bus Series Premium FX Mixers with USB will be available worldwide in July, 2010. The 2404-VLZ3 will have a U.S. MSRP of $1349.99. The 3204-VLZ3 will have a U.S. MSRP of $1,699.99. Visit Mackie during the InfoComm Show at Booth #C7390 from June 09-11, 2010 in Las Vegas, NV. Or get a VLZ3 demo in Demo Room #N112 at 10, 12, 2 and 4:00pm during the show. Marantz Professional AV8003 + MM8003 7.1 Marantz recently made available thz combo AV8003 Preamp/Processor ($2,599) and the MM8003 eight-channel amplifier ($2,399). Zoom H1 Recorder Weighing in at about 2 oz, the H1 records big sound despite its tiny footprint and features the same studio-quality microphones as Zoom’s renowned H2 – the most popular handheld recorder in the world. Samplecraze Audio Production Tutorials Samplecraze are offering a new series of pre-recorded audio production tutorials, and the first in the series covers Audio Compression.